Jeffrey Mark “Jeff” Thornley, 55, of Waldorf died May 3, 2011, in Waldorf. Born May 10, 1955, in Fairbanks, Alaska, he was the son of James F. Thornley and Olga Marie Simpson Thornley. He grew up in the Washington suburbs of Virginia and Maryland. He lived in Southern Maryland for the past 30 years. He graduated from the University of Maryland with a degree in zoology. 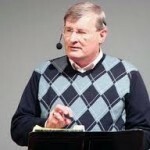 He studied at Grace Theological Seminary and graduated with a master’s of divinity in 1979. Following graduation he became an assistant pastor at the Grace Brethren Church in Temple Hills, and began a Grace Brethren church in Charles County with a Bible study. He also started a Bible study in Frederick that later became Grace Community Church. He founded Grace Christian Academy in Waldorf in 1986. He served as senior pastor of the church and headmaster of the school for more than 31 years. Numerous churches were started all over the world with the support of the Waldorf church and his mentoring of many people. He initiated ministries oriented toward meeting physical, emotional and spiritual needs. His last sermon on May 1 captured the greatest good of life, God’s love as defined by I Corinthians 13. This was the measure of his life. He devoted himself to loving God, loving people and introducing others to the love of Christ. In addition to his parents, he is survived by his wife of 33 years, Cynthia Ann Thornley; sons, John, Paul and Luke; and sister, Jana. Visitation will be held from 4-8 p.m. May 9 at Grace Brethren Church, Waldorf, where a service will be held at 11 a.m. May 10. The Rev. R. Dallas Green will officiate. Burial will take place at Heritage Memorial Park, Waldorf. Arrangements are being handled by Raymond Funeral Service, La Plata.